The modern corporate world as a whole is in the process of acquiring a Conscience. Concepts like ethics and social responsibility are becoming part of the main stream of management thought and practice. One of the terms we hear constantly in the current ethical debate, and among corporate executives, is “Integrity”. The concept of integrity is perceived mostly in its ethical connotations. But the concept can also be viewed in its psychological and spiritual, individual and collective dimension. This article examines this multi-dimensional significance of integrity in the modern corporate context and in the light of an integral vision of human development. Key Perspectives: Ethical Dimension; Psychological Dimension; Dharmic Approach. However modern business has arrived at this awakening to the importance of integrity mostly through pragmatic and environmental pressures like for example, changing competitive landscape, demands of the investor and customer, green or consumer activism, long-term benefits in terms goodwill and trust, better public image. As the well-known founder of Infosys Narayana Murthy points out: “Investors, customers, employees and vendors have all become very discerning and are demanding greater transparency in all dealings”. (Skaria.G, 1999) But to realize fully the spiritual potential as well as the material benefits of integrity, it has to be pursued for its own sake without seeking for any short-term or long-term material benefits, even while knowing that such benefits may come. For an ethical or spiritual value lived in action releases a moral and spiritual force, which brings material results in the long run. The quality, power and effectiveness of this moral or spiritual force and its results depend on the extent of selflessness and disinterestedness in the motive. This is the significance of the constantly repeated assertion in the Indian epic Mahabharatha, that Dharma is the source of Wealth (Artha). These are spiritual insights of seers which cannot be fully validated in empirical terms. However there are some executives and entrepreneurs in business, who are spiritually inclined have experienced this phenomenon in their lives. Alvaro Cruz, CEO of the construction company I.C.M Ingeniers Ltd states “Non-attachment to your work attracts more income and better result. The less attached you are to the fruits of your work the more you are likely to get higher profits”. (Cruz. A, 2007) And V.V. Ranganathan, a former Senior Partner, Ernst and Young states “If you are able to run any enterprise without selfish motives and with selfless service, then I believe that success will fall into place” and explains further “what I mean is that my effort and involvement in doing something is not determined or driven by what I get in return. And I know by my own experience this works” (Ranganathan, 2007) The scientific mind may not accept these examples as valid proof. It may question the connection between the cause and effect. But the scientific mind must have the humility to admit that there are faculties beyond the scientific reason which can perceive truth which it can not know. This brings us to the psychological dimensions of Integrity. In a psychological perspective integrity means alignment of the physical, vital and mental dimension of the human organism around a focal point of integration. For the individual, the physical dimension is the body. The vital is that part of our being which is the sources of our sensations, feelings, emotions, vitality, energy, enthusiasm and the dynamic faculties of will action and execution. The mental is the source of our thoughts, ideas, perceptions, reason, discrimination and judgement. The vital being in us seeks for power, wealth, enjoyment, success, expansion, achievement, conquest and mastery over the forces of life and nature. A strong and energetic vital is essential for all successful materialization of the ideas and ideals in the mind. The mind or mental being in us seeks for knowledge, understanding and the higher laws, aims and values of life and the standards of right living. Thus in a psychological perspective integrity means for the individual alignment or harmony between inner intention and outer action or as Stephen Cowey puts “intention drives perception which drives behaviour, which then drives results.”(Cowey. S, 2007) More comprehensively stated, integrity means harmony between thought, feeling, will and action. I must have the conviction and clarity in my thought, put the power of my will firmly in what I think, passionate about what I think or believe and finally honest and courageous in executing what I think or feel in my action. This integration of the personality is the source of inner power or charisma and effectiveness in action. This is a difficult achievement, which requires much discipline and self-observation. But it is an ideal worth striving for, because it builds our individuality and helps in achieving our higher potentialities. But Integrity is not only individualistic but also has a collective dimension. Just like the individual, a collectivity like an organization also has a physical, vital andmental dimension. The physical dimension is the material structures like building or machinery and the rules and regulations which govern the material life of the community. The vital being in man expresses itself in the collective organism through the economic, social and political life of the community, like its power and wealth structures, interpersonal relationship or interactions and its systems of execution. Similarly, the collective mind of the community expresses itself through its information systems, knowledge-generating process, decision-making structures, research and development, mission, vision, values and culture. So for the collectivity, integrity means alignment of its physical, vital and mental dimension around a focal point of integration. We are now brought to the next question. What could be the focal point of integration which can harmonise the physical, vital and mental dimensions of the individual and the collectivity. Most of the spiritual traditions agree that for the individual the focal point of integration is the deepest and innermost spiritual core or the divinity or the soul in man, which is the fourth dimension beyond our body, life and mind. But this spiritual integration, which is the highest form of integrity, is for most of us a far-off ideal which requires a long and difficult inner discipline. We need a les difficult intermediary ideal which can provide a more practically feasible focal point of integration. Here comes the importance of the Indian concept of Dharma. In this Indian perception, the focal point of integration has to be around some dharmic values. In the Indian thought Dharma means values derived from the laws of human and universal Nature, which lead to the material, mental, moral and spiritual progress, well-being and fulfillment of humanity. In its universal sense, Dharma is all those values, ideas, principles or standards of conduct which are derived from the laws of the highest spiritual nature of Man and the world like truth, beauty, goodness, harmony, freedom, equality interdependence, wholeness, unity, oneness of all existence, and ultimately the source of all these eternal verities, the Divine. Dharma also includes the practical implications of these values for action and behaviour like truthfulness, selflessness, generosity, kindness, compassion, fareness, justice, enpowerment, trust, goodwill, service, contribution to the progress and well-being of the larger whole. But apart from universal Dharma Indian thought recognized two other aspects of Dharma which provides a pragmatic orientation to the concept. The first one is the Dharma of the relative world of change, of which the most important elements is the dharma the stage of evolution. Most of us do not have the inner capacity or resources to realize the highest spiritual potentialities of the universal Dharmas. We have to grow towards them through various intermediary stages of mental, moral and spiritual development. The third face of dharma is the dharma of the unique and intrinsic nature of the individual and the collectivity called, as swadharma. The individuals vary in nature, temperament, inclination, capacities and the level of development. Similarly the inner nature or swadharma of a business, political, cultural, educational and spiritual organizations are not the same. For example, while “simple living and high thinking” may be the right system of values for the scholar, saint, thinker and the sage or for an educational, cultural and spiritual organsiation, it is not the appropriate system of values for a business organization, or the temperament of a businessman, called as Vysya in ancient Indian thought. The right system of values for the economic, commercial and industrial life of a community is not simple living but a beautiful, harmonious and apulent living or in other words, orchestrating a rich diversity into a beautiful and harmonious whole. Similarly the right dharma for the corporate world is not “high thinking” of the abstract, metaphysical or idealistic kind, but useful, pragmatic, generous and democratic thinking which can bring down power, wealth, knowledge, culture, ideas, ideals and values into the lower levels of the economic and social hierarchy and make them accessible to the masses. Similarly the temperament of a businessman cannot grow and prosper in an environment of ascetic bareness or simplicity. It needs a certain amount of generous enjoyment—sensuous, emotional and aesthetic—of the richness of life for its progress. So the ethical discipline for the businessman or the corporate world has to be based not on an ascetic self-denial, but on the values of honesty, harmony, beauty, justice, fareness, mutuality, philanthropy and charity. 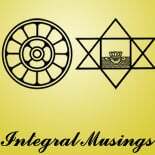 So, the Indian thought held the view that we have to take into consideration not only the highest ideals of universal dharma but also the temporal dharma of the present stage of evolution and the unique swadharma of the individual or the community. This requires a dharmic insight which leads to a pragmatic reconciliation of the needs of the universal, temporal and individual dharmas. This insight develops by consciously cultivating the ethical and aesthetic sense and a purified rational or emotional intelligence free from gross forms of ego and desire like greed, violence, lust, excessive selfishness and overweening pride or arrogance. The concept of integrity can be viewed in an ethical, psychological or spiritual perspective. And in the corporate context integrity has an individual and collective dimension. The Indian concept of dharma provides a good conceptual framework for evolving values which can provide a focal point of integration for organizing the various parts of the individual and corporate life into an integrated whole, which is the highest meaning of integrity. But the dharmic integration is only a preparatory stage for a still higher, and the highest realization of integrity at the spiritual level. Peter Pruzan and Kristen Pruzan Mikkelsen eds(2007), Leading with Wisdom, (Response New delshi), pp.80, 82, 113, 243, 245. Skaria G. The Well-governed Corporation, Business Today, November, 1999.